I’m sure you’ve heard before that content is the key to making more affiliate sales and having a successful flow of business online. Well, content provides credibility. It gives your visitors the value and information they’re looking for online. Some types of content will even help put people in a “buying mood” which is exactly what you want. And of course content is the key to driving traffic and leads to your website. The more traffic you receive, the more potential for affiliate sales. So now we have to figure out what type of content works best for affiliate sales. Usually when people seek product information and reviews online they’re already looking to make a purchase. I know this reigns true for me, anyway. I’m always looking for reviews online. Reviews are one of the most powerful ways to promote affiliate products or service – simply because they help provide that potential buyer with the information and the link to make a purchase. If you decide to write a review, be sure to present an unbiased opinion. A prospect won’t trust a review that is all good. Be sure to point out any downsides to the product or service. You can then counter it with a positive statement. Also, consider reviewing features, prices, and any personal experience you have with the product or service. People love that! Last but not least, be sure to include a link or two to the product sales page so you can earn your commission. A free download is best for a newbie and a seasoned affiliate marketer. The most common type of download are reports and ebooks. 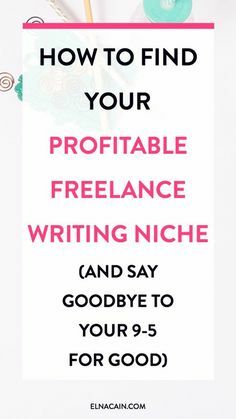 You can create these yourself from scratch, by combining previous articles you’ve written, or by simply buying PLR and edit them to fit your audience and niche. Reports and ebooks offer a tremendous amount of value to the reader because they offer more information and benefit than a simple article. When relevant you can include affiliate links in your ebook or report. You can also include them again in an appendix dedicated to resources. However, make sure to not go overboard with the affiliate links. Use them only when relevant and appropriate. Then, watch your affiliate sales increase. In addition to reports and ebooks, consider giving away other downloads. For example, printable checklists or calendars, useful resource lists, Tweets, blueprints and other easy to use and informative resources. This is an excellent way to provide value to your audience. 3. Gain sales through email marketing. If you are just starting to build your list, that’s great. It’s a very important step in having an online business as the money is in your list. Whatever you do, make sure you’re collecting email addresses and building an opt-in list. This list may be your single biggest commission generating resource. Each person that signs up for your list is a qualified prospect. They didn’t just opt-in because you have a nice smile. They’re interested in the information you have and the products and services you represent. If you don’t yet have a growing opt-in list, spend some time creating your opt-in strategy. This often includes a free giveaway with the sign-up. Once you’re collecting email addresses, don’t wait for the numbers to increase. Start sending out informative messages right away. Provide your peeps with content, tips, inspiration to build a relationship. You want to start gaining their trust. You can also include an occasional affiliate link, or two, when relevant to the information you’re discussing. Just don’t go overboard every single day. The best thing you can do is test and track the methods that generate the most affiliate sales, and focus on building and growing those tactics. Your affiliate marketing commissions will almost certainly increase as you provide more content and continue to be consistent. Are you into affiliate marketing? What are some tactics that you use to make affiliate sales?